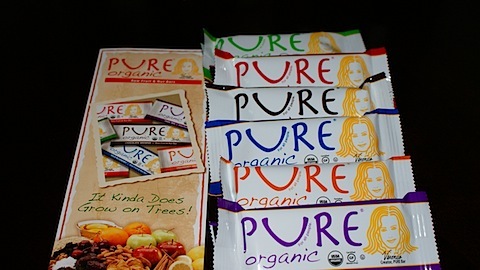 Pure recently sent me some of their PURE bars to review. I was so excited to get the package! The bars are full of whole, ground ingredients – similar to a Larabar but less ground up. When you open the package you can see the oats and whole bits of fruit. 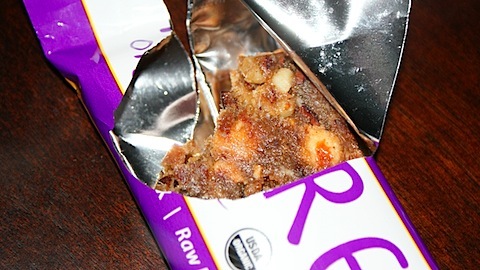 The bar is chewy and slightly sticky in a natural way. They don’t crumble because they are more moist than that. These bars have a great texture. The ingredients in the PURE bar are just that, pure! 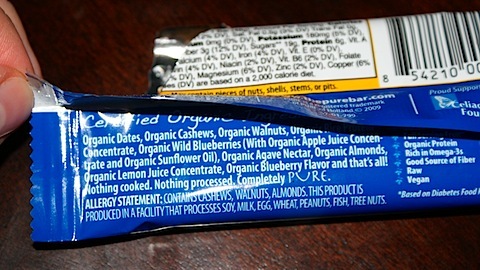 Here is a glimpse at the ingredient list of my favorite PURE bar flavor – Wild Blueberry from their website. Organic Dates, Organic Wild Blueberries, (with Organic Apple Juice Concentrate and Organic Canola Oil), Organic Cashews, Organic Agave Nectar, Organic Walnuts, Organic Brown Rice Protein, Organic Almonds, Organic Unsweetened Lemon Juice Concentrate, and that’s all! 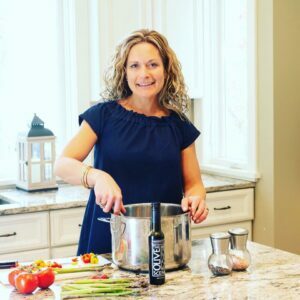 (unless you count the 14 essential vitamins and minerals, healthy antioxidants, and healthy Omega 3 fats in every bite). The nutrition stats are great – here are the stats for the Wild Blueberry. 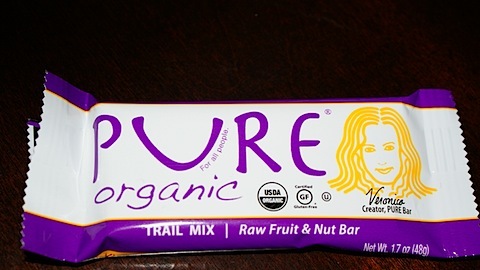 Check out the Pure bar website to find out where you can get your bars. I would use these bars for a 3:00pm snack or a quick post workout meal. They are great to go with a light lunch or split in half and have for dessert. The bars are really good tasting, full of great ingredients, and easy to find! I would recommend them for someone who is looking for a healthy and fast snack. 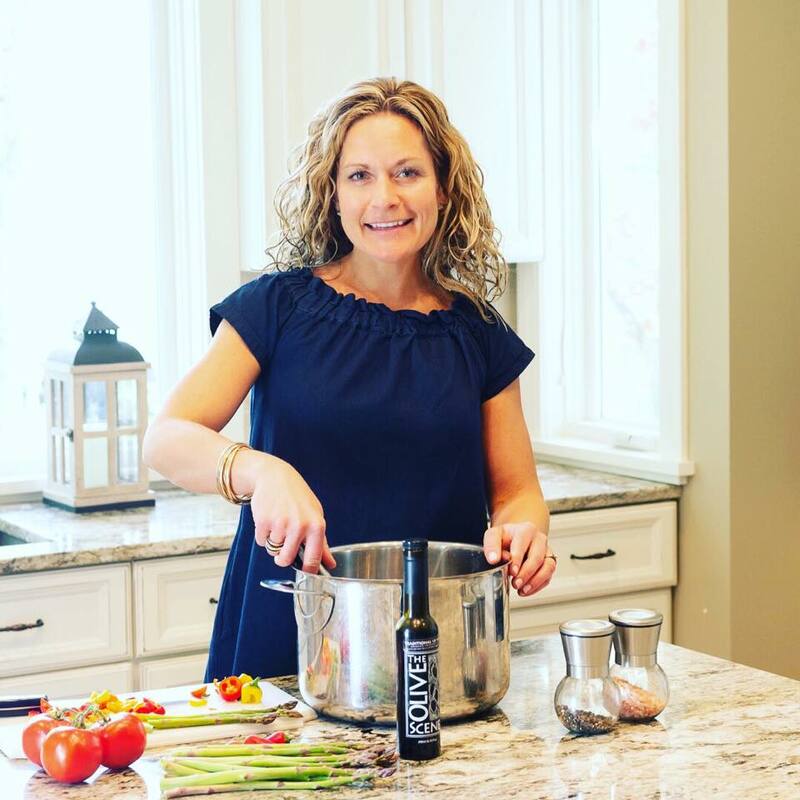 They fit the lifestyles of people who have specific diets such as: vegan, raw, and low sodium. Thanks for the review. It’s always nice to hear someone else’s thoughts before trying out. Both soy and gluten free, too! That’s a hard combo to come by, I should know 🙂 Is the 20g of sugar too much for this kind of snack — not really sure — regardless, I’ll be trying them anyway. Great review!